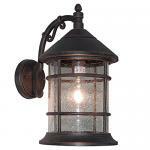 Update your space with Globe Electric’s Charlie Outdoor Wall Sconce. 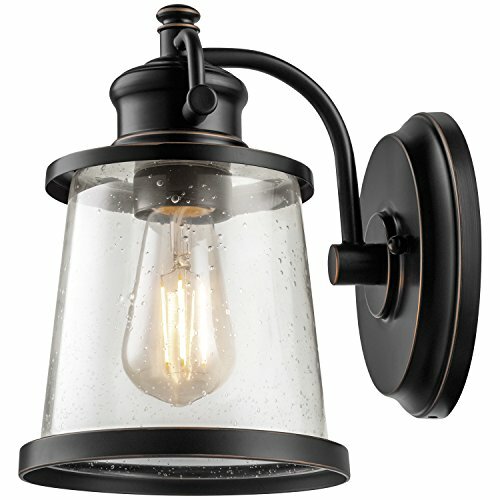 The oil rubbed bronze finish enhances your space while the clear seeded glass shade makes sure your area is bright. Shining with the brightness of a 60 watt incandescent bulb, this included LED bulb uses only 7 watts of power saving you money in electricity costs. 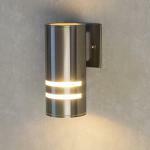 With a 2700 kelvin color temperature, this fixture emits a soft white light that is easy on the eyes. 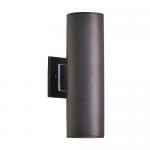 Completely dimmable with a compatible dimmer switch, you can create the lighting mood and ambiance you desire. Includes all mounting hardware for quick and easy installation and one 7 watt (60 watt equivalent) LED bulb.